The following instruction were created using iOS 7. Verions of iOS prior to 7 are not supported. 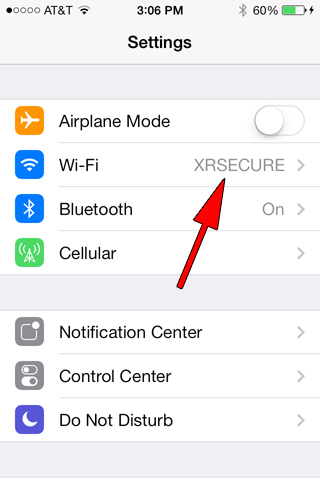 In the example shown below we are connected to a network titled "XRSECURE"